At Traditional Oak and Timber Co, we are proud to be able to help on some fantastic projects at some wonderful properties. One of the most interesting parts of our business is the oak framing. 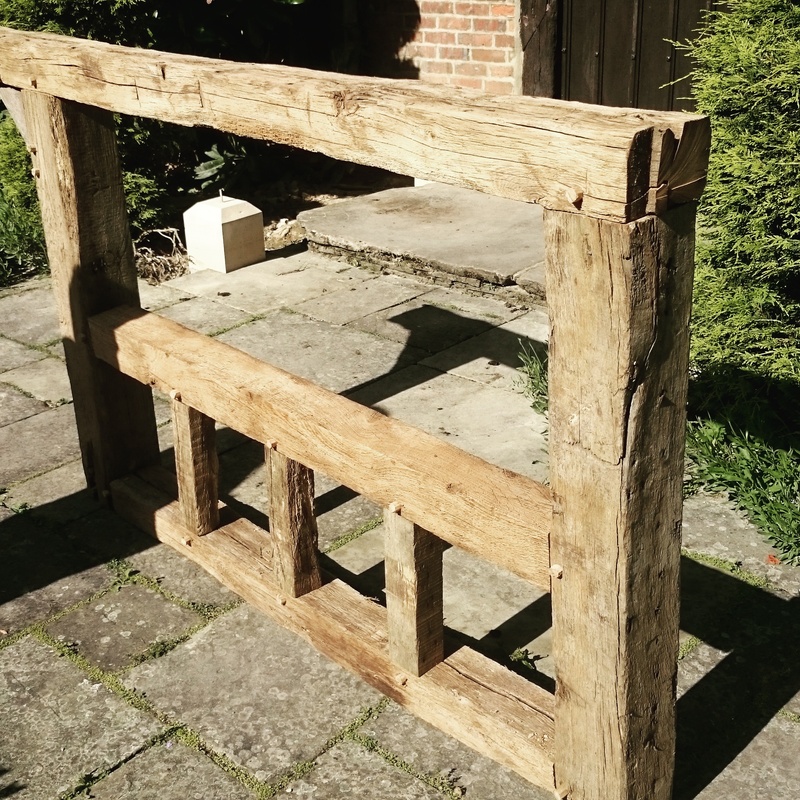 And one of our specialties is being able to carry out oak framing with beautiful reclaimed oak beams. 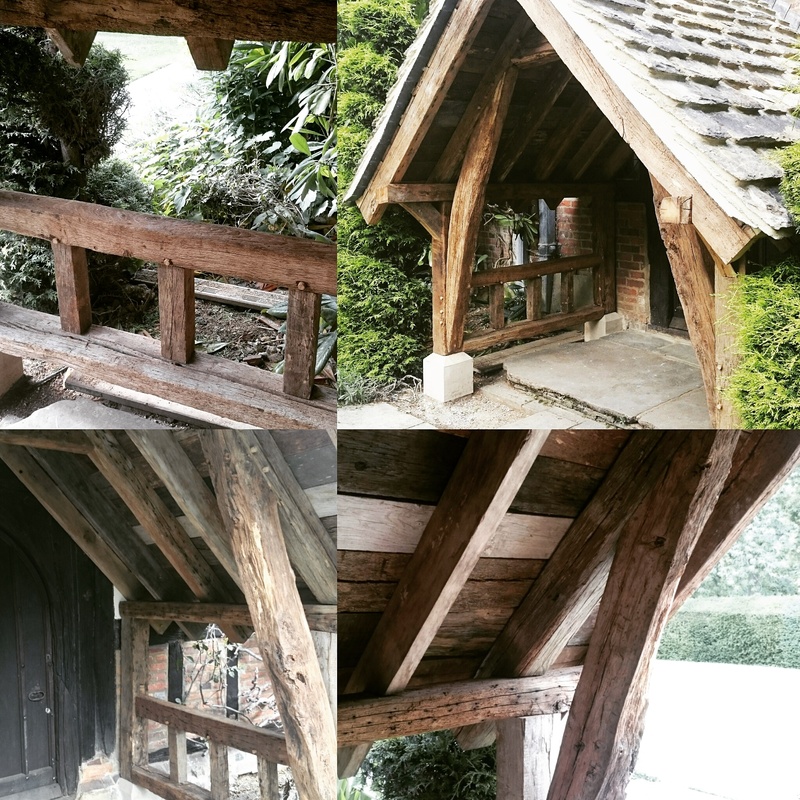 This porch was required at a 16th century manor where the client wanted it to be in keeping with the rest of the oak framing in the property. With this in mind we can show you the process of the framing development, from conceptual design to the finished product. 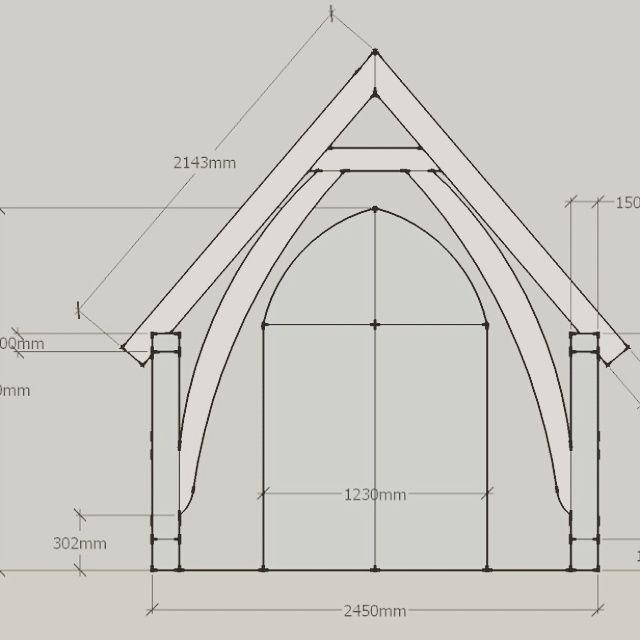 The client came to us with an initial design for the porch. 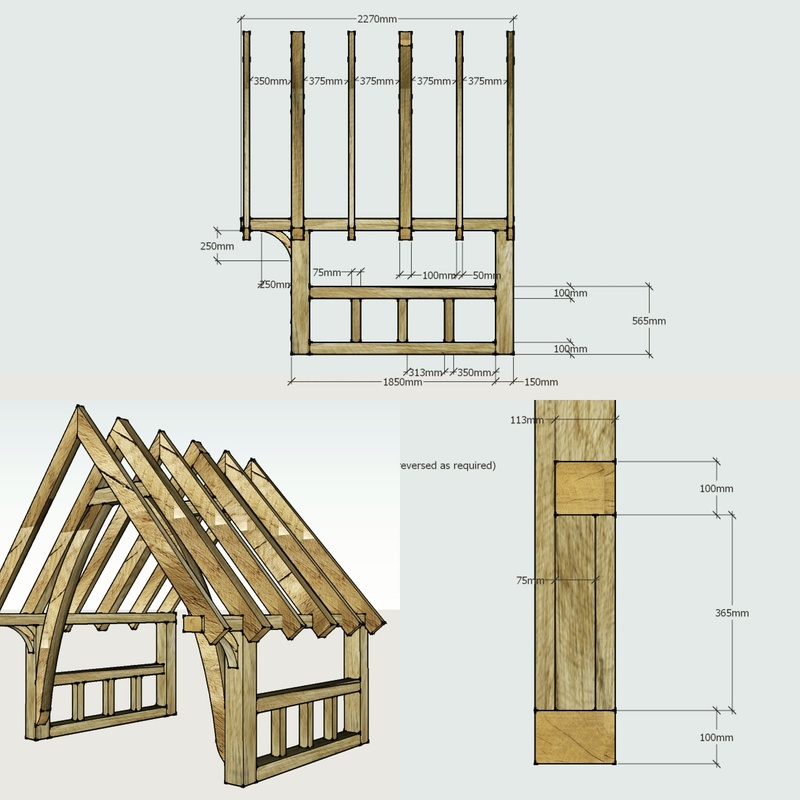 He wanted a cruck frame design in reclaimed oak with natural curve on the large cruck braces. Another requirement was that the door was not to be obscured. We headed to site to take some measurements. Once the final design was agreed and signed off, then came the difficult part. With oak framing from green or even air dried oak, all the beams are nice and straight, true and square. This means that if a single component is repeated in a frame, for example a rafter, all the beams are cut the same size and length, and if not for a small difference in character, almost identical. This is not the case with reclaimed oak beams…. 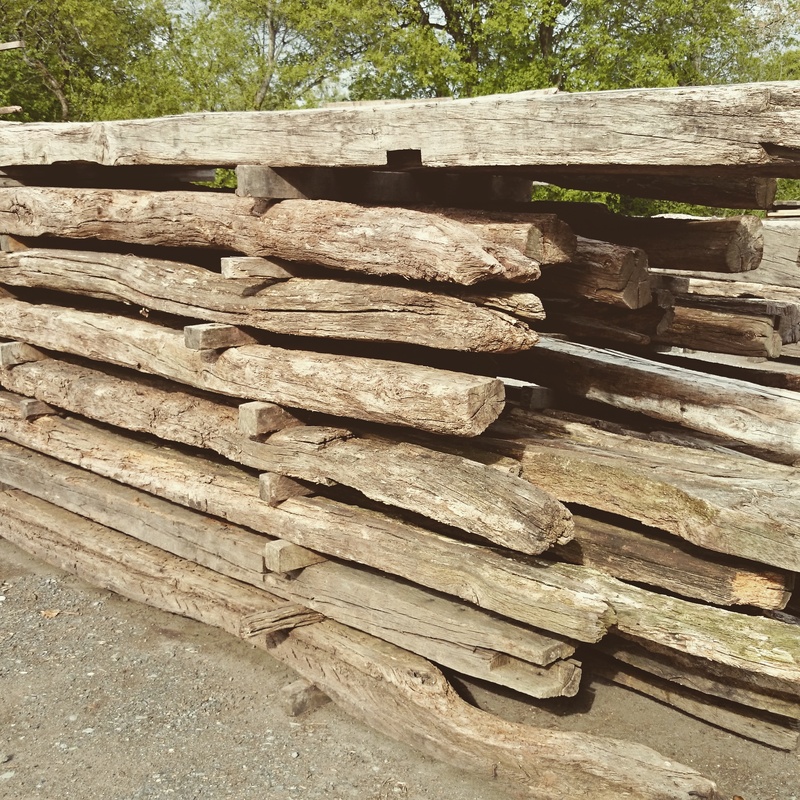 At Tradoak, one of our specialties is the supply of reclaimed oak beams. Most of our beams have come from houses, barns, churches and halls. Each beam tells a story and has hundreds of years worth of history. 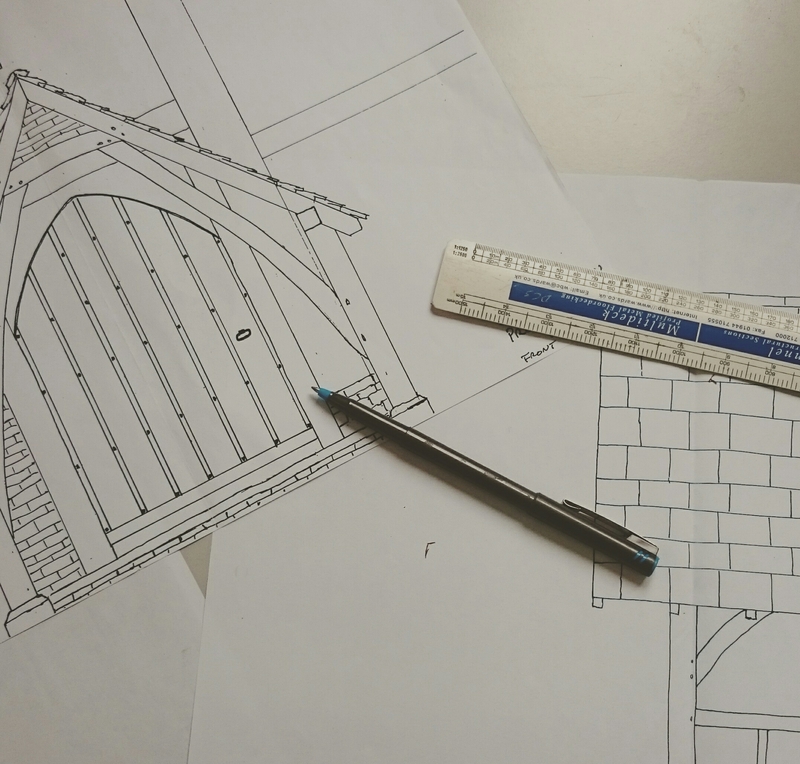 This means that when choosing the correct beam for a correct section of an oak frame, you need to be able to visualise the end product and make sure the beam has the structural capabilities. Once the beams have been selected they are cleaned, treated and stacked. 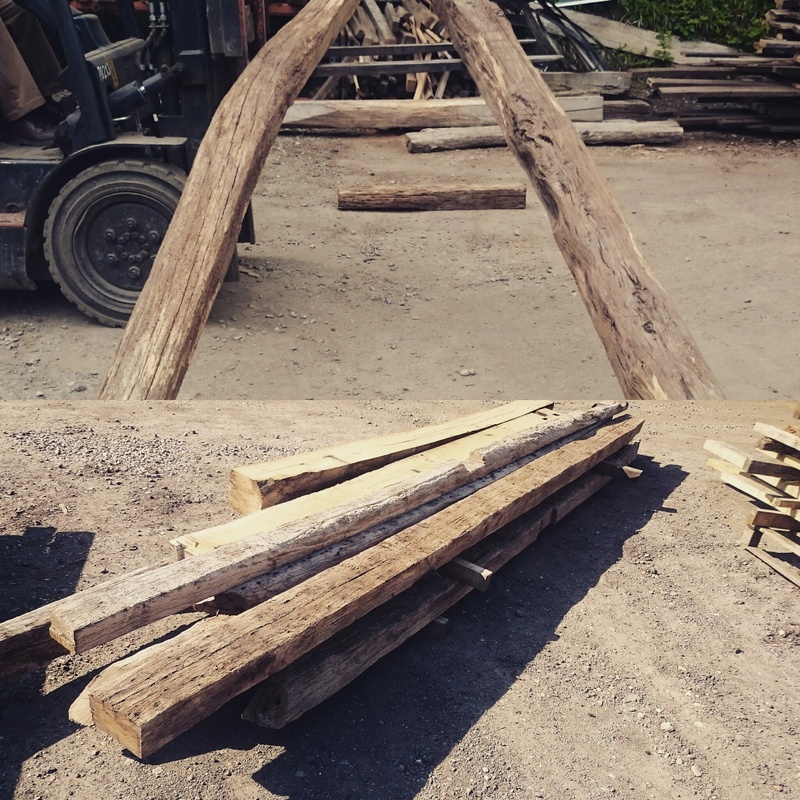 An important part if this frame was the cruck braces (the large curved braces at the front) we were able to source these from an old barn in the Riberac region of France. We sent pictures to the client to make sure he was happy, and when we got the all clear, we began framing. With the beams selected, cleaned, treated and agreed we start the framing process. Because the reclaimed oak beams are very rarely 100% straight and true we need to spend a lot of time scribing each joint to make sure there are no large gaps between mortise and tenon shoulder. Regardless of the age of the oak the framing process is still the same, tested and traditional. Putting the walls into place on the stone pillars is first and then on goes the roof trusses. The top part of the trusses are frames but the birds-mouth joint which attaches the trusses to the walls are cut on site. 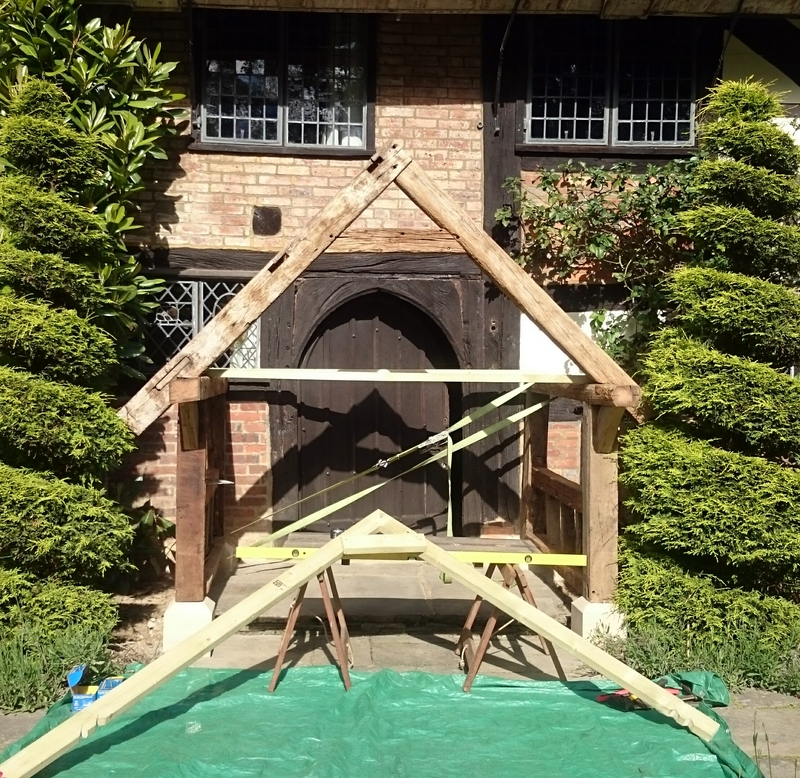 Due to the beams being reclaimed and not straight, and the building being nearly 700 years old and not perfectly straight, there was a fair bit of adjusting required to get the frame up and finished. But when we did we were very pleased with the finished product, and thankfully so was the client. With the frame finished and constructed you can see how all the detailing from design to build has worked. The process from conception to build was around 2 months and has been very popular with everyone that has seen it. 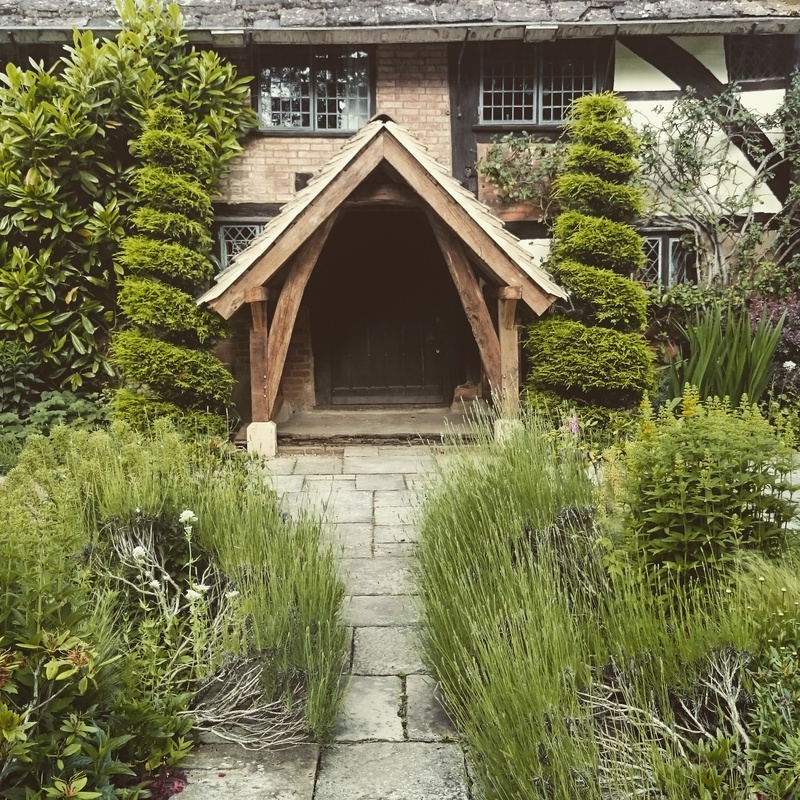 At Traditional Oak and Timber Co we are very happy to get involved with interesting framing projects like this, and have the experience and knowledge to hopefully create preciously what you are looking for with any oak beam. If you have any questions or need to discuss your project and are unsure what do next.